Recent scholarship has highlighted the significance of the Seven Year’s War for the destiny of Britain’s Atlantic Empire. This major study offers an important new perspective through a vivid and scholarly account of the regular troops at the sharp end of that conflict’s bloody and decisive American campaigns. Fresh sources are employed to challenge enduring stereotypes regarding both the social composition and military prowess of the ‘redcoats’. The book shows how the humble soldiers who fought from Nova Scotia to Cuba developed a powerful esprit de corps that equipped them to defy savage discipline in defence of their ‘rights’. 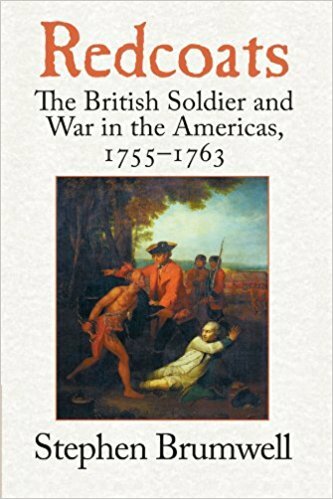 It traces the evolution of Britain’s ‘American Army’ from a feeble, conservative and discredited organisation into a tough, flexible and innovative force whose victories ultimately won the respect of colonial Americans. By providing a voice for these neglected shock-troops of Empire, Redcoats adds flesh and blood to Georgian Britain’s ‘sinews of power’.